It’s time to give your family the gift of professional Christmas lighting for your home. Professional Christmas lights and Tulsa Christmas Lights bring joy and cheer. It’s the holiday season right around the corner and your home can shine in your neighborhood starting with the experts at Green Leaf. We do Tulsa Christmas Lights like no one else in the area. Christmas lighting companies that serve all of the Tulsa, Metro area are here and there name is Green Leaf. We provide placement and installation of decorative holiday lights, then after the holidays we will return take down your Christmas lights. Don’t get frustrated dealing with tangled lights, extensions cords, blown fuses, or climbing ladders. Let our lighting professionals handle the installation of Christmas lights and you just spend that time with your family and loved ones. Call today and speak with one of our professional Christmas lights installers about all of your Tulsa Christmas Lights needs. Let us know if you have any additional questions about your home’s Christmas lighting or would like and estimate on how our holiday lighting services in Tulsa, Oklahoma work. 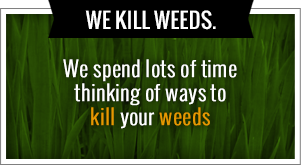 Our number is 918-640-6405, and you can also visit us online at www.greenleafweedcontrol.com. Tis the season to Don your home with a spectacle of festive Christmas lights. Our holiday lighting company will deck the halls with thousands of flights as you enjoy the traditions of Christmas. You can spin time decorating your tree and icing gingerbread cookies in the warmth of your own home while we stay outside and do all of the decorating to the exterior. Warm yourself by the fire and enjoy a nice cup of hot cocoa well we take care of all of your Tulsa Christmas lighting needs. Wouldn’t you rather slip in your favorite sweater, Crash in front of the fire and watch the game while sipping on hot chocolate with extra marshmallows? Then you do that and leave the light installations up to the experts at Green Leaf. Christmas is considered a holiday because at the time of year we should be spending the time with your loved ones, not freezing outside and mumbling under your breath as you crawl awkwardly all across your roof. The professionals here at Green Leaf Lawn can handle the entire process for you. We’ll be happy to meet you at your home to review your project, help you choose the right colors and style, and then install and remove the lights for you after the holiday season has passed. It’s never been so easy to get your favorite part of the holiday into the forefront without losing the Yuletide spirit piping frustrated with hanging your Christmas lights. Remember to give us a call or visit us online and see why the experts at Green Leaf are different from other Tulsa companies when it comes to not only taking care of your Christmas lights in the winter, but also servicing all of your lawn needs throughout the year. At Green Leaf we believe the most magical thing in the world are celebrating Christmas with your loved ones. With the holidays just around the corner, and the error getting nippy outside, Season is almost here and you deserve a well decorated home that doesn’t require all of the hard work you’ve grown accustomed to. We can make your home dazzle and exceed your expectations in a real and genuine way. We do that by providing expert service when it comes to Tulsa Christmas Lights and everything else out there. We believe in making your holiday season this year sparkle, without any of the stress that is normally associated with it. Take it to the next level with Green Leaf and the expert Tulsa Christmas Lights installers right here in your hometown. We would love to hear from you over the phone at 918-640-6405 or you can always visit us online at www.greenleafweedcontrol.com. We take pride in our business and loved people of Tulsa. We were started by Jamie Nix and Josh Mathias and we have both been working in the industry back in 1998 and beyond. This company of native Tulsa Oklahoma residents has a heart for the city of Tulsa and wants to see everyone in this town get the number one lawn services choice when it comes to Tulsa Christmas Lights, Tulsa lawncare, and Tulsa seasonal lawncare. We are the service provider of choice for companies like Mathis Brothers, Outback Steakhouse, and other leading companies. There are many aspects to Green Leaf Lawn services. Part of what we do is called the Turf Enhancement Engineers. Josh is focused on making sure that Green Leaf customers receive only the best lawncare every single time. He is known throughout Tulsa and the surrounding area as being the fastest weed Wacker in the South. With his skill and knowledge in Turf Enhancement Engineers in Tulsa weed control, he is one of the main reasons why Green Leaf Lawn has been so successful in recent years. So whether you need seasonal work done or a team to take care of all of your lawncare needs in the summer and spring months, give us a call today and we would love to set up an estimate with you and give you a free consultation. Being a charitable organization is what were all about. Even though we offer a wide variety of seasonal services to the people of Tulsa, we are first and foremost a lawn care provider that will bring you the Turf Enhancement Engineers to make your lawn the most beautiful one on the block. We are certified by the Oklahoma Department of agriculture and are equipped with the proper licenses to bring you the best in Tulsa weed control. 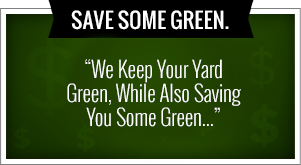 Have confidence knowing that Green Leaf Lawn care is the right choice for your home and your families lawncare needs. We are equipped with the right chemicals and our team is always wearing the proper attire to comply with all state regulations. We use top-of-the-line spreaders and sprayers to guarantee even application and make sure your lawn looks better than ever and weed free.